Moka clocks in at 2.6 metric tonnes empty, 320000 Kilometres and two decades of experience on this earth. The rear springs were sagging, the shocks twice past their service life. 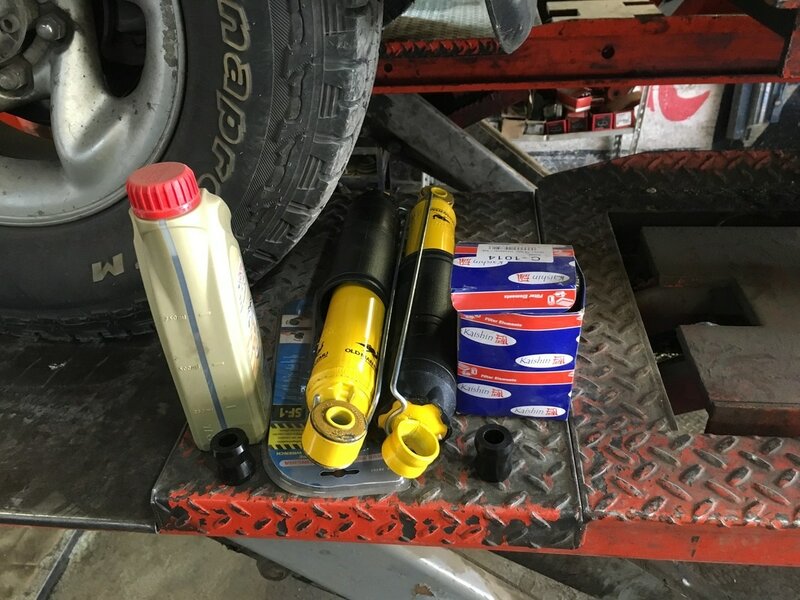 Upgrading your suspension is one of the first things to do when you're looking at long term, off road, self sufficient travel. With our crew of three we end up carrying a hefty load. The stock suspension is usually set up by the manufacturer for the average driving conditions: urban and the occasional dirt track. Picking the right solution is imperative. We chose Old Man Emu (by ARB) after much research because it ticked all the boxes and the reviews lived up to the claims. We fixed the sagging spring problem by installing springs especially designed for heavy loads. That means that once we're loaded up and ready to go we won't lose clearance and will handle better both on and off road along with better tread wear and other benefits. The new springs prove to be stiffer and improve Moka's feel and handling. The new shocks are a leap forward in responsiveness, breaking and comfort, especially off road. Superb balance, fast rebound and smooth compression allow us to tackle obstacles without having to think twice. Moka is very stiff when not loaded. Your wallet does get slimmer all of a sudden; worth ever cent. It is a job that anyone with mechanical inclination can do, however, it requires a few tools you may not have. Also when talking springs, it may just be safer to get them installed by a professional, there are big forces at play if compressing the spring is required. To change out the rear coiled springs we need to max out the suspension by lifting the vehicle up. We simply didn't have the tools to do so. 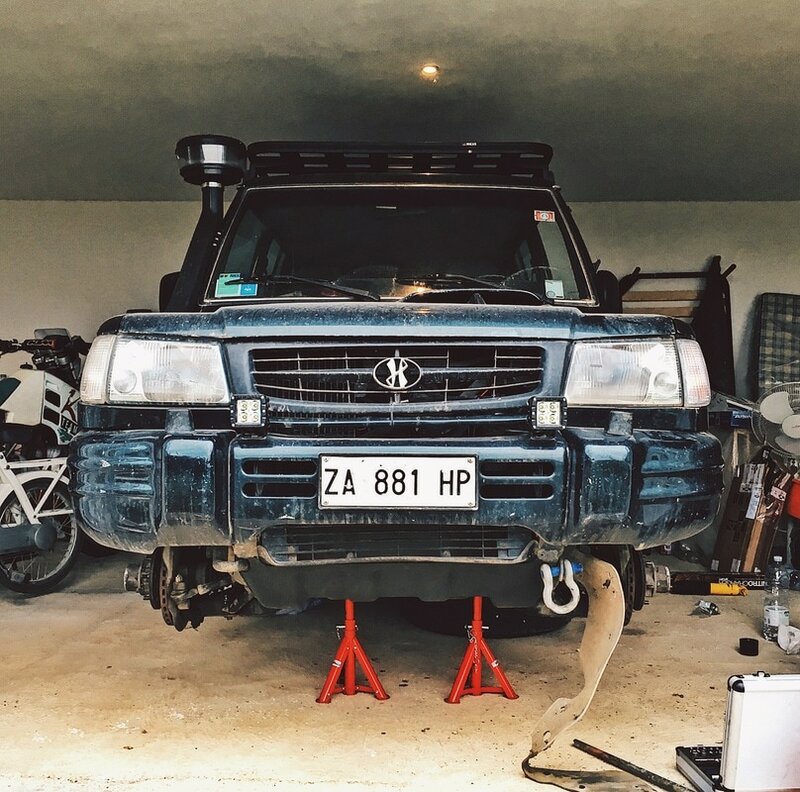 For 30 euro we hopped over to our mechanic and he swapped them out in less than 15 minutes, also replacing the rear shocks (the shocks limit the rear axle travel/articulation, preventing the springs from popping out when your flexing on axle twisters. 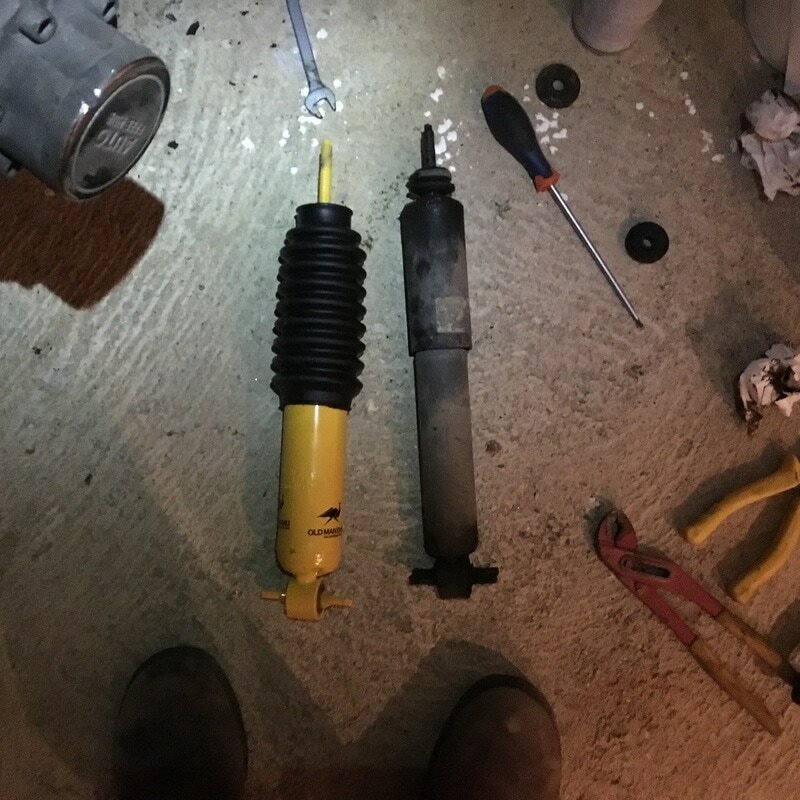 Swapping out shocks is a matter of lifting your car, removing some bolts, swap shocks and do up the bolts again... easy enough. If there is one mod we suggest you do its suspension. However do it with purpose and do do your research first, not all solutions will be fit for your needs.